Ali Hassan was born in Doha, Qatar in 1956. He has a BA from Qatar University in history,but his long involvement with Arabic calligraphy began in 1972 with work as acalligrapher for several local newspapers. Pursuing his interest in calligraphy, Aliattended a workshop by the Arabic & Islamic Restoration Legacy at the University ofLovan, Belgium in 1984 and, subsequently, graphic arts courses in Cairo in 1986. A yearlater, Ali held his first exhibition at the luxurious Sheraton Hotel in Doha and thus beganhis career in contemporary Arab art. Today he has exhibited extensively internationally,including a solo exhibition in Tokyo and group shows in Zurich, Paris and New York. 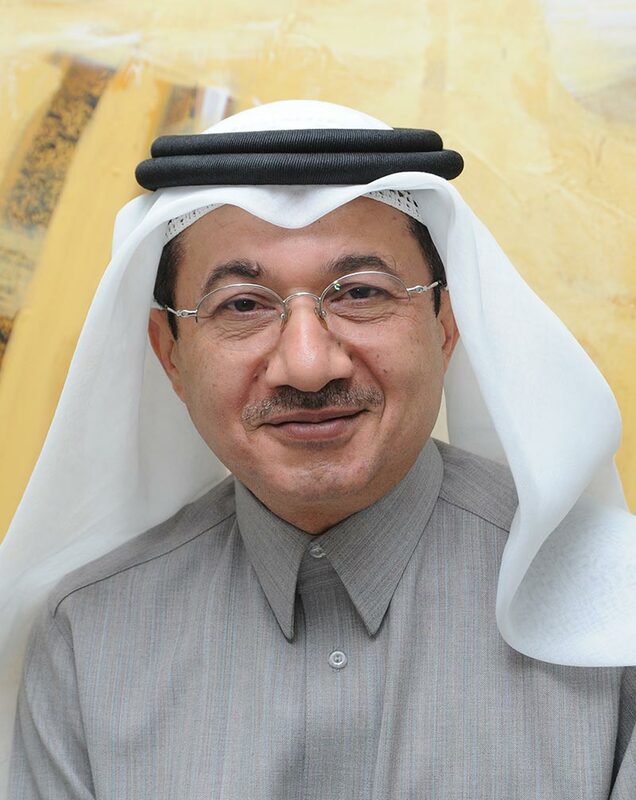 He isChairman of the Doha organizations, the Youth Creative Art Center and the Girl’sCreativity Art Center. Ali’s earliest works were black-and-white Arabic calligraphic lithographs on paper,mainly showing surahs from the Qur’an, Arabic poetry, and passages from the book1001 Arabian Nights. He then began to add hue to his black-and-white works, usingwatercolour, which in turn led him to the next, celebrated phase in his artisticdevelopment, explorations of the Arabic letter noon. Ali began to develop a more free flowing form of calligraphy focused exclusively on theletter noon. For more than 25 years Ali has used the 28 letters of the Arabic alphabet inhis art, finding a ‘worldly beauty’ in each letter. For the last two decades Ali has beenenticed to explore the letter “N”. “Through my art I wanted to show my audience that it is not necessary for the artist to consider all letters but rather, that is possible for an artist to focus on a single letter his entire life because of the beauty, power, timelessness and malleability of a single Arabic letter,” he says. He experimented also with striking and unconventional water colour combinations such as cadmium orange with cobalt violet, and cerulean blue with chartreuse green. He further explored noon using acrylic paint and stencils, gradually moving away from paper to work exclusively on canvas with acrylic paint. His palette became increasingly muted, at times revisiting his original monochrome scheme on wood panel. In his continuing quest to push the limits of noon, Ali also began to experiment with mixed media on canvas. This noon period, for which Ali Hassan is best known, saw this singular Arabic letter repeated and reworked on all possible variations and permutations. Seeking further inspiration and creative breath, Ali embarked on travels throughout the Arab world. The artistic culmination of his journeys was his series “Oriental Scenes”. Made famous by two large canvases displayed in the lobby of the Four Seasons Hotel, Doha, this series continued Ali’s new interest in mixed media on canvas and also saw the introduction of his now iconic palm tree. During this period, Ali returned to creating works on paper, focusing on mixed media and collage – a striking departure from his previous technique. Having temporarily laid aside noon for his “Oriental Scenes”, Ali sought to reinvigorate the letter by recreating it, too, in a new medium: ceramic mounted on wood. This particular period lasted three years and later found further expression in Ali’s fiber glass and acrylic sculptures as part of his “Horses of the Desert” series. The latest period in Ali Hassan’s highly successful thirty-five-year career is marked by his recent series “Village of the Poets”. In these pieces, we can see the synthesis of many elements of Ali’s life’s work through the continuing or renewed use of mixed media, black-and-white calligraphy, muted colours, stylized palm tree forms and the Arabian horse. “Village of Poets” pays homage to the artist’s past while suggesting that the artist’s keen eye is yet fixed on new futures. Undoubtedly, it will become known as yet another milestone in Ali Hassan’s prolific and inspired oeuvre.